CHARLEMONT -- Hollywood came knocking -- literally -- on selectmen's meeting room door as TV and film actor Jordan Marder and his movie crew sought the town's permission to begin filming "Then There Was" in Charlemont on Tuesday morning. The independent film is about how the lives of people in a small New England town are changed by a global blackout and the subsequent ungluing of society. And it looks like the name of this fictionalized town will be "Charlemont." "Then There Was" will be filmed in town through Oct. 13. The production crew will be based at the now-closed Otters Restaurant. Besides filming at Marder's Charlemont home, and at a private residence in Rowe, some scenes will be shot in the town center, Carl Lucas, the film's line producer, told selectmen. "It's an 18-day schedule for a very small movie," said Lucas. "'The Judge?'" he said, referring to the Warner Bros. film shot in the region this summer, "We could make 200 movies with that budget." Nonetheless, despite his film's relatively small budget, Marder noted "We're going to spend about $75,000 right here in Charlemont, for hotels, food and gas," said Marder. "And we're going to put everybody in the movie." "We'd love you guys to come out and be in the movie," Marder told the selectmen. "We're going to stage a town meeting scene in Otters." When board Chairman David Cummings asked, "What will we be called?" Marder said he would love to use the town's real name. "I don't see why not," said Selectman Beth Bandy. Among the scenes to be filmed in town center is a gas station scene, with a queue of motorists eager to fill their gas tanks before there's a gasoline shortage. One scene will be filmed at A.L. Avery & Sons General Store on a Sunday, (when the store is normally closed). Also, the closed Country Store next to Town Hall will be the setting for a shoot-out involving two bandits, who break out of jail and are on the run. "There will be some minor gunfire," Lucas explained. "They'll be blanks, in a controlled and safe environment. We'll have a medic on site, to make sure everyone is safe." The shoot-out scene is scheduled for Oct. 3, for a couple of hours. Because the film is set during a blackout, the filmmakers plan to work during daylight hours, when street lights and other lighting is off. Marder, who grew up in Charlemont, appeared in "LA Confidential." 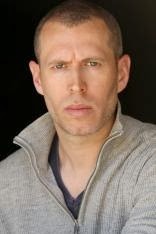 He has also had guest appearances on many episodic television shows including "Jag," "The X-Files," "The Shield," "24" and "Ringer." Besides Marder, the following Hollywood actors have been cast to play the lead characters: Mark Valley from "Boston Legal;" Ronny Gene Blevins of the "The Dark Knight Rises;" Abraham Benrubi of "ER" and the movie "Twister;" and Costas Mandylor, known for "The Saw" movies. The director will be Louis Mandylor, Costas' brother. Louis Mandylor is perhaps best known for his role in "My Big Fat Greek Wedding." Marder's production company, Charlemont Pictures, is to pay a permit fee of $25 per day for the days of filming in a public area. The company will also pay for police to direct traffic when necessary. Lucas asked Police Sgt. Jared Bellows if one of the town's cruisers could be used for one or two scenes in the film. Bellows said only a town officer would be able to drive the cruiser, for liability reasons; however, he said he would consider letting an actor sit in the driver's seat -- as long as the actor wasn't driving. The filmmakers said they would work with that. Lucas said one scene will involve the Mohawk Trail Regional School. Selectmen told him he would need to speak to Buckland town officials about any scenes there.